This is charming vintage lace. 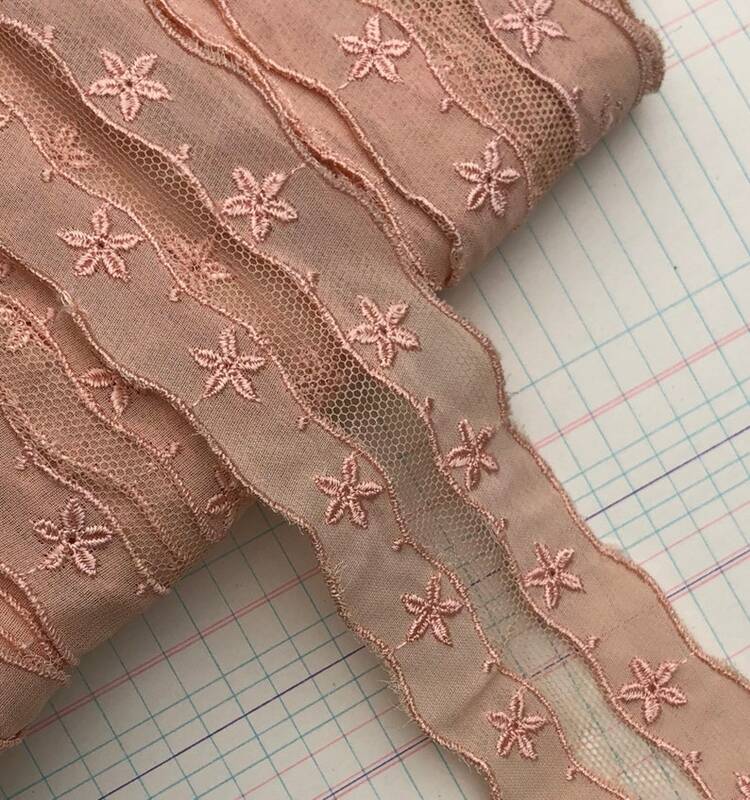 It's a gorgeous peach trim — tulle with a crepe fabric overlay. I burn tested it and based on that test, I think the tulle is cotton. It is in very good condition aside from some minor age discoloration. Thanks for shopping Dishy Vintage! Beautiful seals, in perfect condition & shipped fast -' thank you!! Absolutely gorgeous lace! Exactly what I wanted. Thank you! !